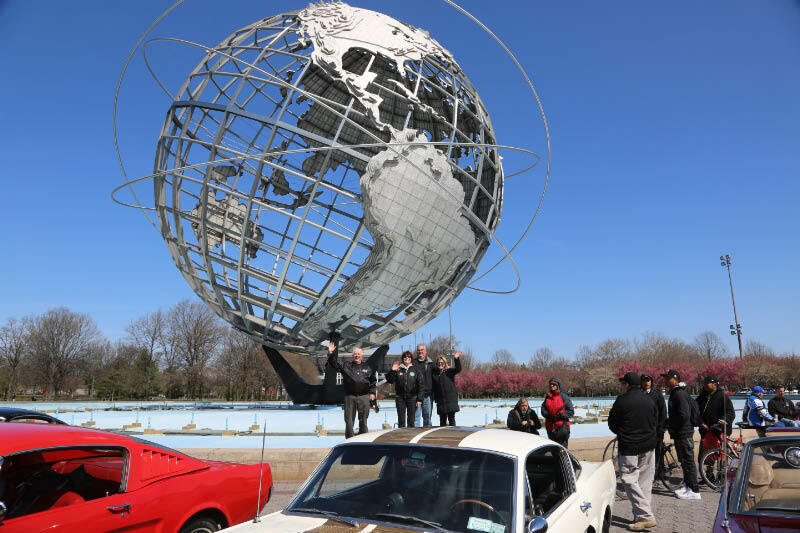 Ford executives and 94 Mustangs, including my 1966 Shelby Mustang GT-350H, celebrated the 50th anniversary of the introduction of the Mustang at the site of the 1964 World's Fair in Flushing last Thursday. Related news stories and a Ford Motor Company press release on the event are provided below. Can you find me in the above photo taken by Bruce Adams? 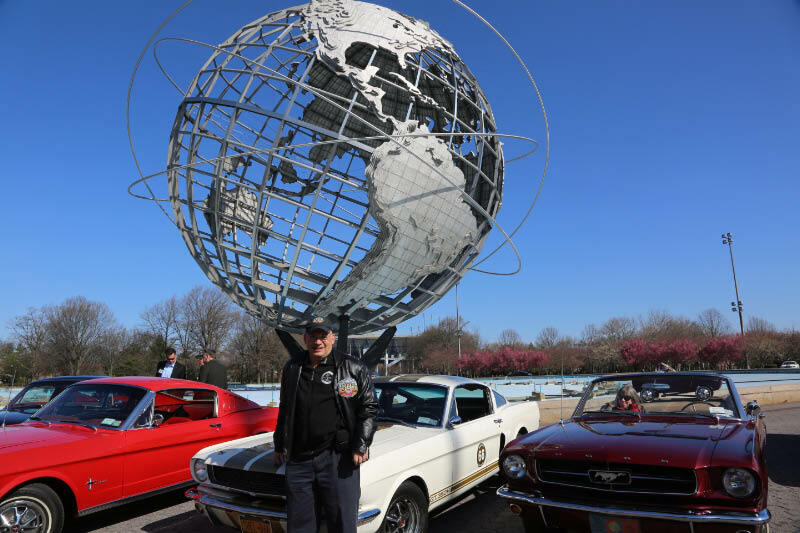 Ford Mustang fans and company executives gathered at Flushing Meadows Park in Queens, N.Y. today to celebrate 50 years of the iconic sports car that debuted on the grounds of the 1964 World's Fair. 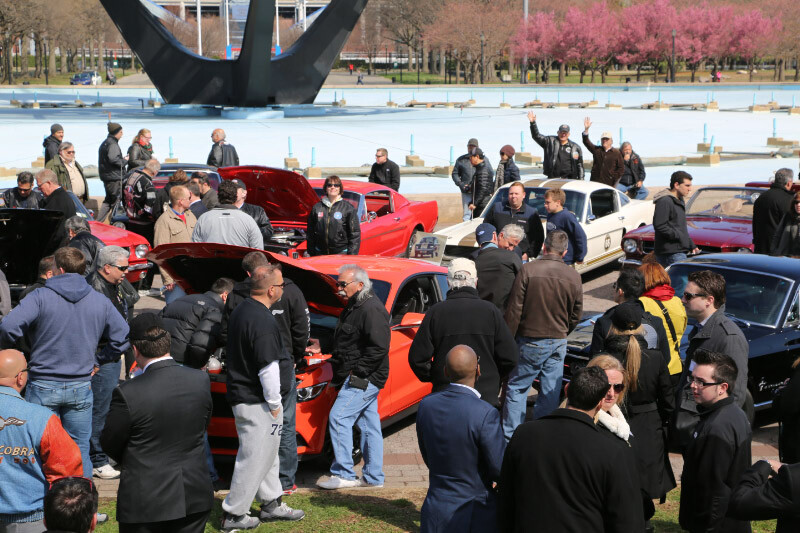 In addition to the all-new 2015 Mustang, 94 cars from New York-area Mustang clubs were brought to the plaza in front of the Unisphere, where Moray Callum, Ford vice president of design, chose a 1967 Shelby GT500 Mustang fastback as best in show. 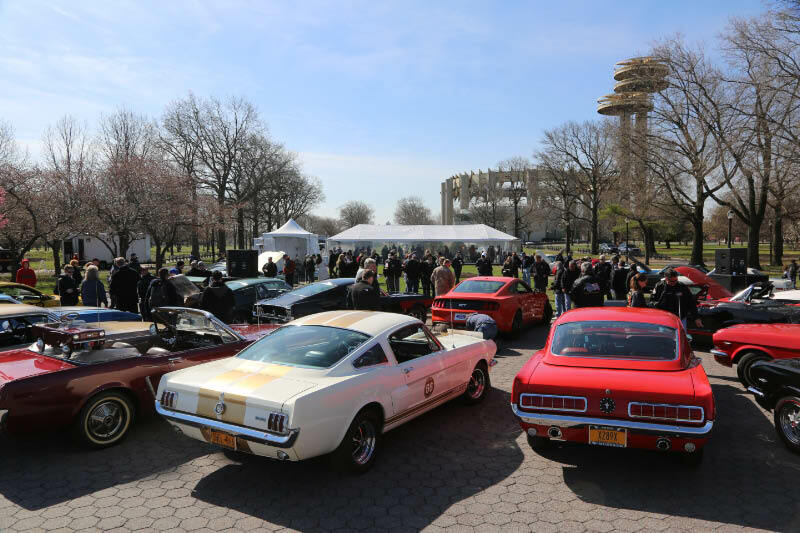 "It's a great feeling to be here at Flushing Meadows 50 years to the day after Ford unveiled the original Mustang at the 1964 World's Fair," said Raj Nair, Ford group vice president, global product development. "Seeing the devotion that owners put into caring for these amazing classic Mustangs reinforces why we put so much passion and effort into making the all-new 2015 Mustang great." 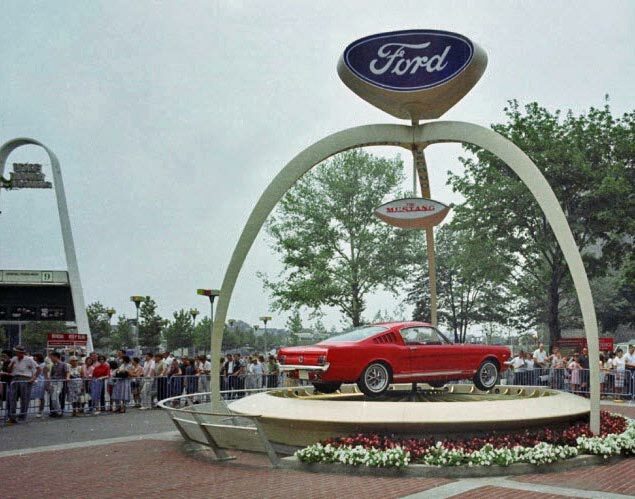 Visitors to the World's Fair on April 17, 1964 were among the first in the world to see Mustang on display at the Ford Rotunda pavilion. That same day, Americans stampeded into Ford dealerships to buy a Mustang. By the end of the day, more than 22,000 Mustangs had been purchased or ordered, a breathtaking start to one of the greatest product launches in history. 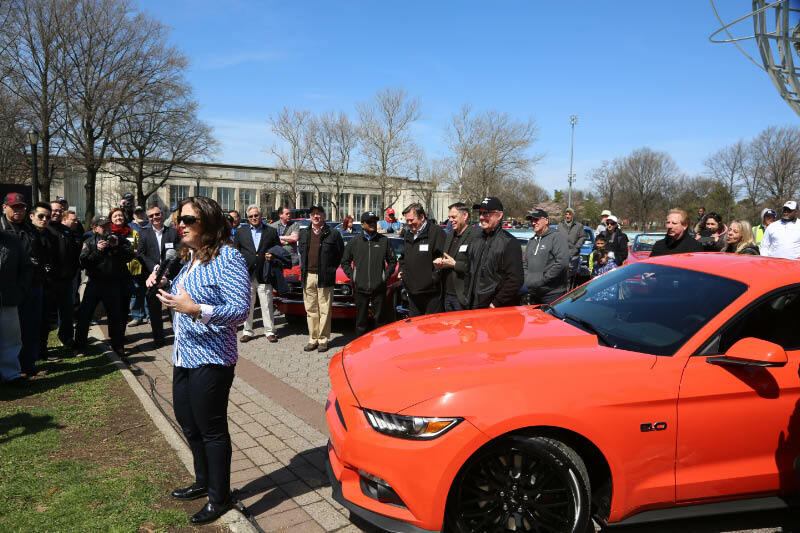 "Standing where my grandfather, Henry Ford II, stood to reveal Mustang five decades ago is both humbling and inspiring -- especially since we are launching the next 50 years of Mustang at Ford Motor Company," said Ford Vice President Elena Ford, leader of the Global Dealer and Consumer Experience organization. "Since then, Mustang has become the heart and soul of Ford Motor Company, and a symbol of my great-great-grandfather Henry Ford's vision of putting the world on wheels." "Great sports cars are living, breathing machines that reflect both their drivers and their creators," said Callum. "Like a living organism, they must change and adapt or become extinct, and that evolution is on display today, showing how Mustang has adapted while retaining its essence." 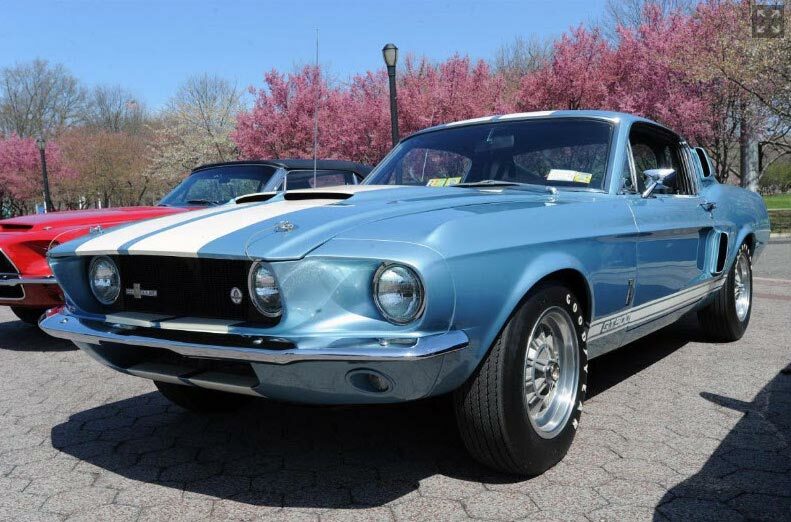 Callum chose a blue 1967 Shelby GT500 Mustang fastback owned by Davidson as best in show. Davidson was presented with a unique prize, a Ford design studio model painted Race Red and used to evaluate exterior colors. Following the presentation, it was personally autographed by Elena Ford, Nair and Callum. "I've owned many Mustangs over the years, but I'm just amazed to get this honor from the Ford design team," said Davidson. "I've owned this GT500 for three years and it only has 40,000 original miles. It's fantastic to drive." "Mustang has an incredibly rich heritage, and as we celebrate 50 years at Ford, we are focused on making the next 50 years even better," said Nair. 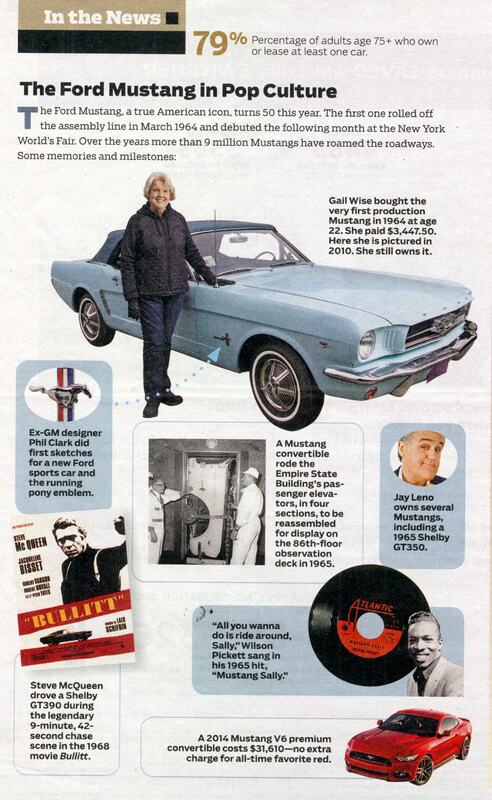 As noted by Ted, that's me with my right hand raised behind my Mustang. 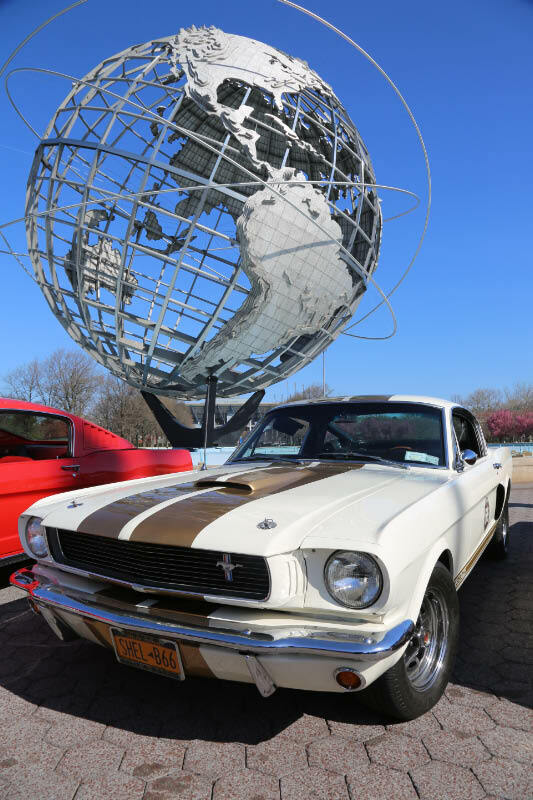 My white 1966 Shelby Mustang GT350H "Hertz Rent-a-Racer" received a great position in front of the Unisphere. A view looking toward the former New York Pavilion. 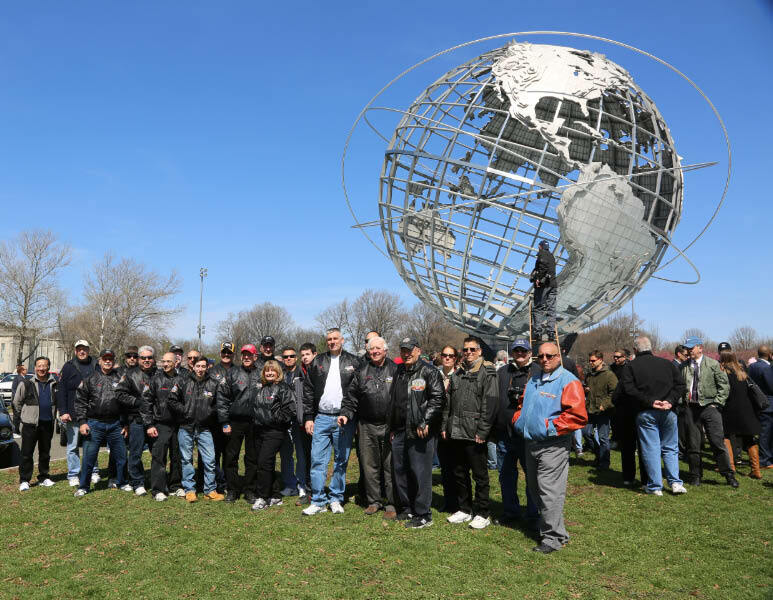 Mustangs surrounded both sides of the Unisphere, the symbol of the 1964 World's Fair. Bruce Adams and friends holding up the Unishpere. Elena Ford, great-grand daughter of Henry Ford, addressing the crowd. The Mustang & Shelby Club of Long Island was well-represented at the event. 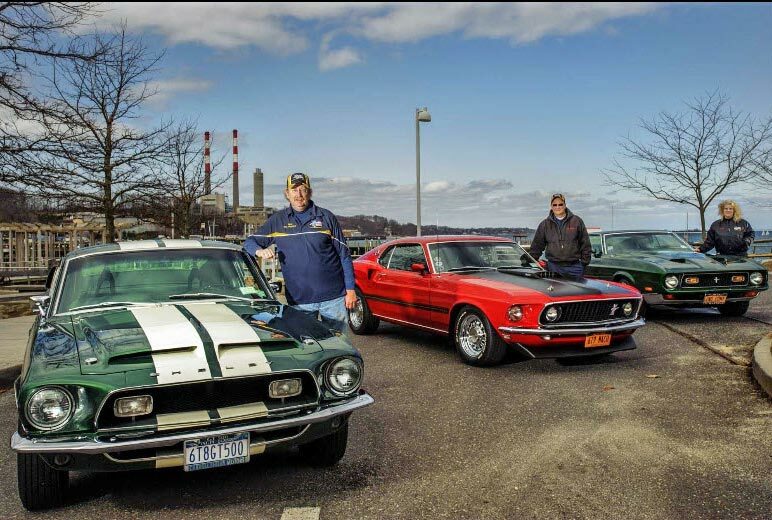 David Davidson's blue 1967 Shelby Mustang GT500 fastback (far left) was selected by Ford executives as the "best in show". I remember wearing an exotic Sari as part of my job, working as a hostess, in the Pakistani Pavilion’s restaurant—and also, I recall working a second job assisting a magician inside the Greek Pavilion—what a wonderful time, at the World’s Fair, it was—in 1963—for me, as a young 18 year old. Nice ‘stangs. I hear they’re building them up to 1000hp nowadays. Also the left archway in the top photo of the ‘64 World’s Fair was moved after the fair and is now located in a Garden City South strip mall on Hemp Tpke and Cherry Valley Ave. Caught all this at NYIAS Press bkfst on Weds. Nice tribute in Flushing Meadow. Must have been fun. That was quick. See ya in Farmingdale. Ted, this meeting is likely open only to members of Long Island Shields.